Your iPhone can do a lot of things, many of which will need to incorporate other services in order to function optimally. Often this coordination comes in the form of the Location Services feature on the device. This is something that allows the apps and services on the phone to use your geographic location to give you directions, recommend restaurants, and otherwise help you out based on where you currently are. But your phone might not be working properly, or you may be concerned about privacy issues, which can leave you looking for a way to turn off the Location Services feature of your iPhone SE. 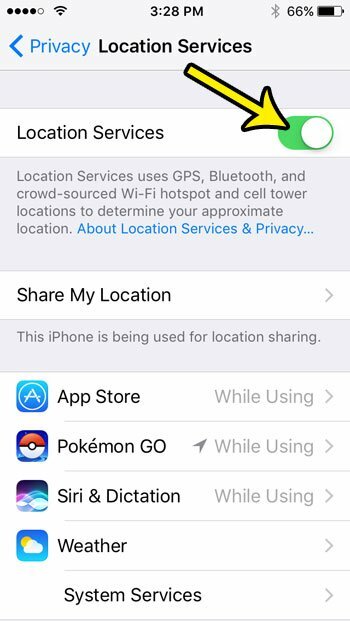 Fortunately this is a setting that you can control, so follow along with our tutorial below to disable location services on your iPhone SE. The steps in this article were performed on an iPhone SE, in iOS 10.3.2. This is going to prevent many of the apps and features on your device from using your location. For certain apps that require you location in order to function properly, the app may not work at all. 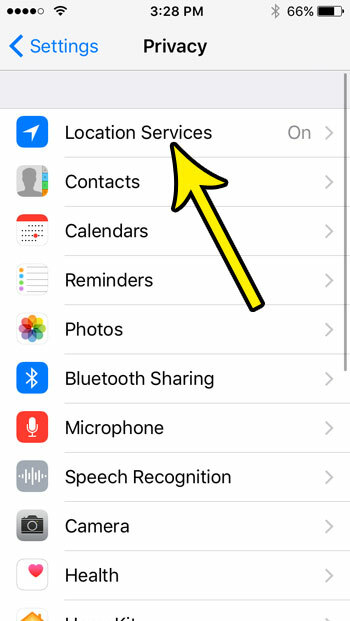 Note that Location Services may be re-enabled if you lose your iPhone and turn on the Find My iPhone feature. 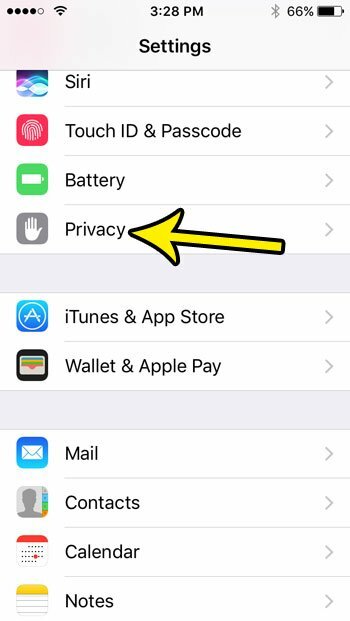 Step 2: Choose the Privacy option. Step 3: Select the Location Services button at the top of the screen. 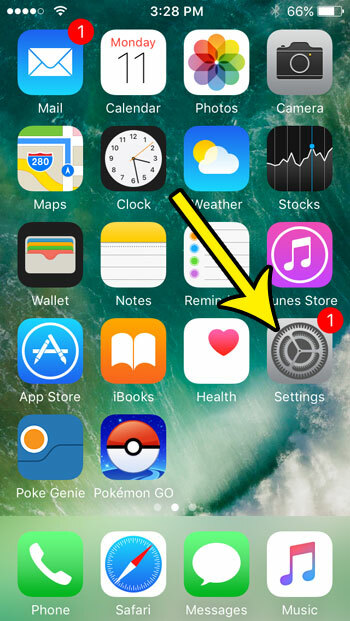 Step 4: Touch the button to the right of Location Services. Step 5: Tap the Turn Off button to confirm that you understand how location services will work if Find My iPhone is used. Are you worried about whether or not your iPhone will update its time automatically? Find out how to enable automatic time updates on your iPhone and let the device manage things like Daylight Savings Time and time zone changes.